Forget about peaches and cream! 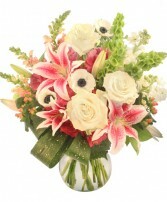 This arrangement is filled with peaches and dreams! 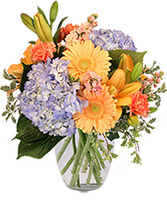 Dreamy blue hydrangeas and marvelous peach gerberas and lilies are a delight in this bouquet. 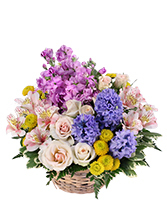 For just because or a beautiful Spring day, this arrangement will have them Filled with Delight! 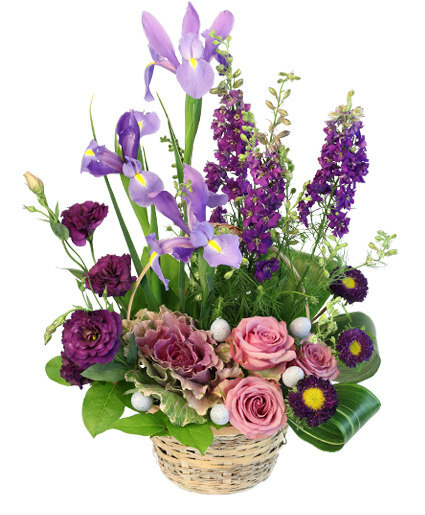 Want something close but not the same just Call Us direct:(631)446-4600 Elegant Designs By Joy /Florist/Weddings Easter flowers, bridal showers, communions.